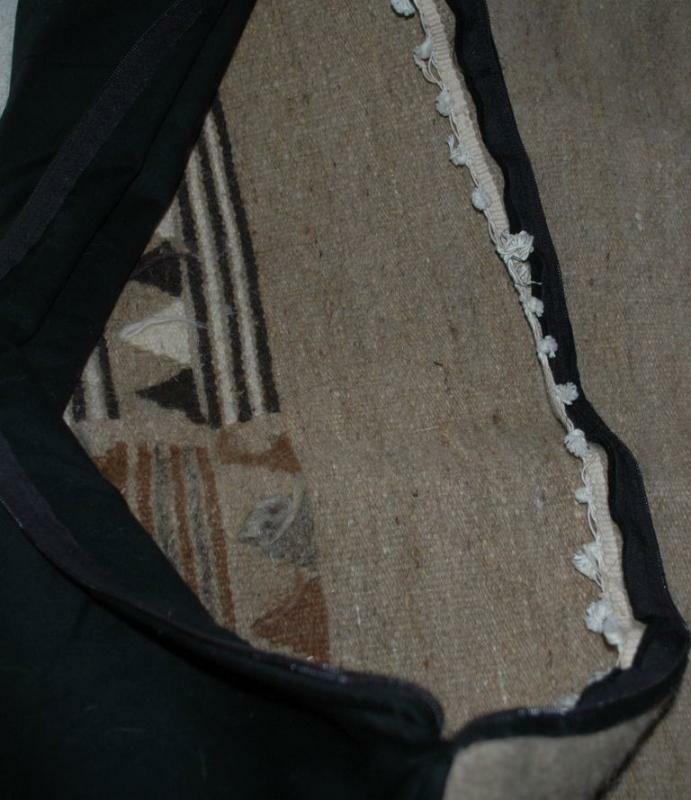 The rug has not been cut and still have the knotted fringe on either end. but the fringe is turned to the inside. 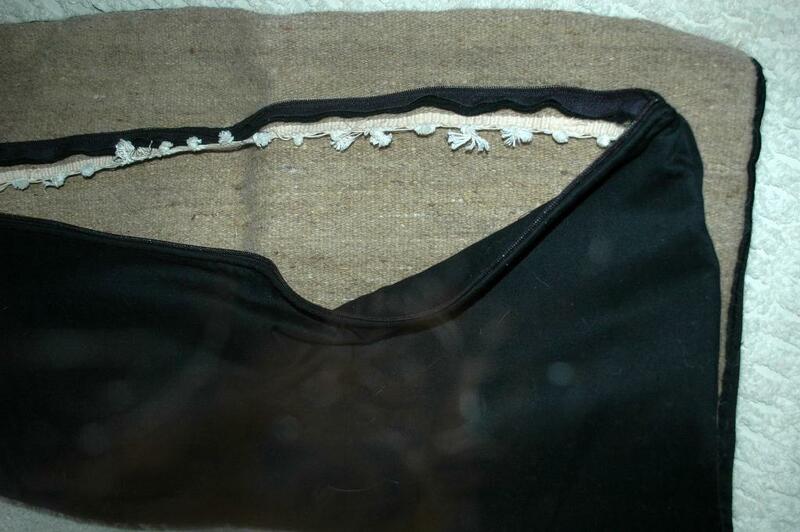 The backing of the pillow case is black and it has a zippered opening. 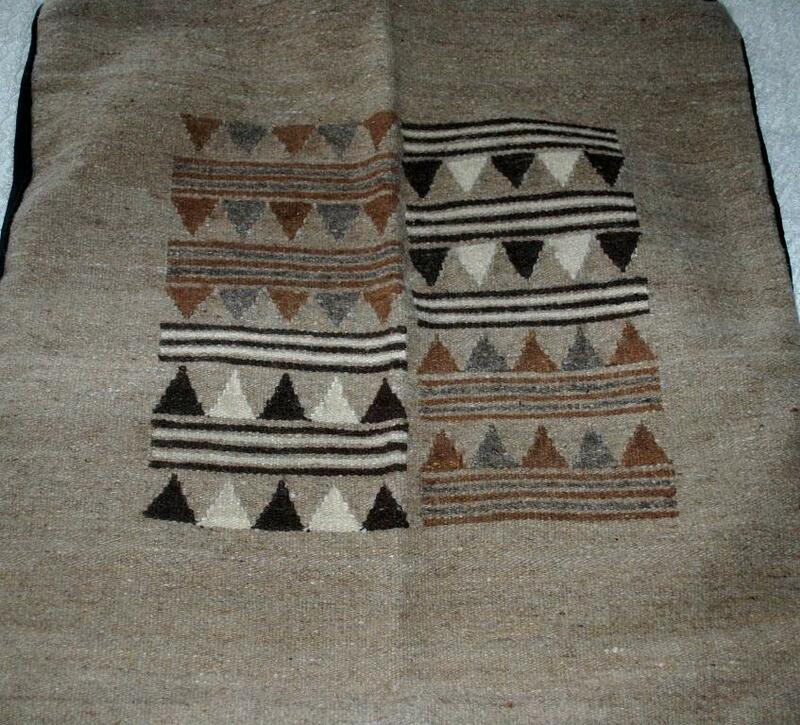 It is a very lovely rug... don't know why someone converted it to a pillow but it can turned back into a rug easily by picking out the seams. It very is clean , I don't think it is has ever been used as a rug on the floor. It retains an odor of lanolin plus you can feel the lanolin. I see no damage. As a pillow case is measure 25.5" x 25.5". However as a rug is is 27" x 27.5" including the fridge. 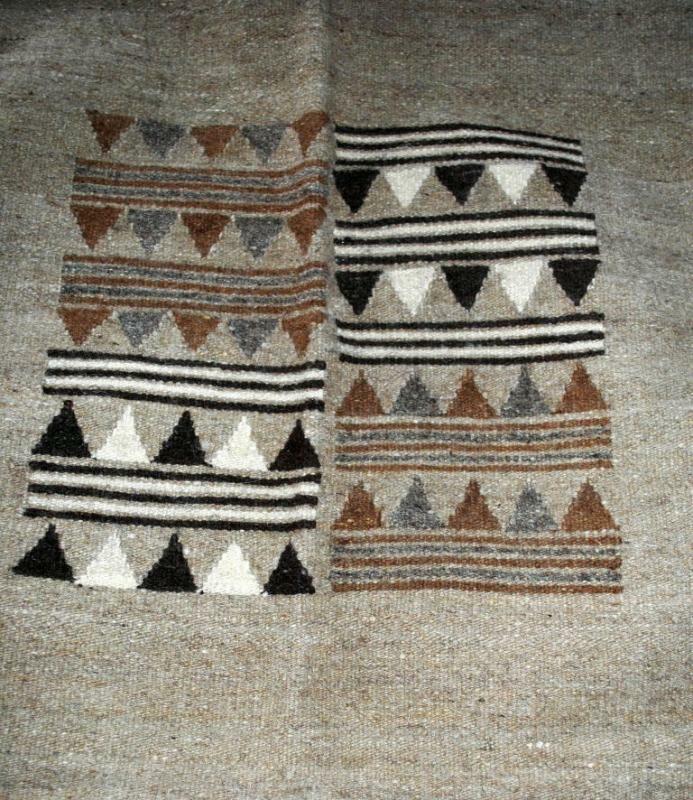 The rug is one sided as the opposite side shows the knotting.